Nara - Lively and can move as fast as the wind, that ninja. 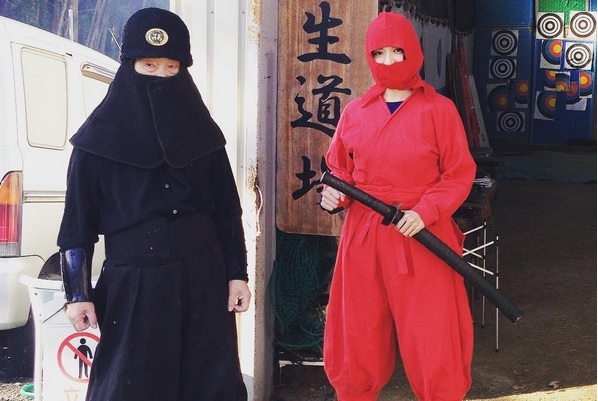 If you want to know more, tourists come to the Ninja Academy in Japan. Generally traveler thought if ninjas only exist in a Japanese film. But make no mistake, in fact, there is the Ninja Academy, located in the city of Nara. Reported detikTravel of the site Ninpou Ninja Academy, Thursday (28/01/2016) traveler could learn to be a ninja! In the Ninja Academy, a traveler can choose to take part ninja package for one day or two days. After selecting the package, the traveler will be directly taught by the ninja with a long duration of five hours. A fairly short time to master the science of ninjutsu. A traveler was required to wear a distinctive Japanese ninja before starting the exercise. Afterwards the sensei will teach you to use five main weapon ninja, the katana, shuriken, blow guns, bows to guns! At the beginning of the exercise sword, a traveler will be given the original sword and taught to cut like a ninja. Tatami placed on a wooden pole had become a sword training. After slashing tatami, training the next weapon is using shuriken again the original. A traveler was required on a target on the wall using shuriken, which certainly sharp. Then the accuracy was further tested with inflatable weapons training, archery to shoot a rifle. Like a real ninja. By noon, a traveler will be served lunch in the form of Japanese udon and rice balls ninja. Exercise may ninja, but do not forget lunch. The ninja also definitely need to eat too. 0 Response to "There a Real Ninja Academy in Japan"